Gone are the days when owning a smartphone was a luxury. Today, there are smartphones to meet the requirements of just about anyone. While some manufacturers, like Apple, still offer their handsets at a high price, several others have smartphones at almost any price point. 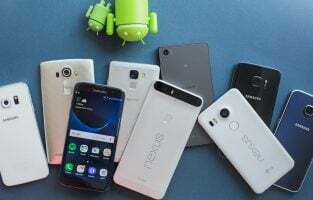 What makes things interesting is that some of the low and medium budget devices have as good specifications as or at least very close to their high-end counterparts. Android smartphones are the most sought after today followed by iPhones. There is a multitude of options available for you to decide on what would work best for you without burning a hole in your pocket. This list attempts to help budget smartphone seekers make an informed buying decision. Without further ado, let’s see some of the best budget smartphones. See also: Best dustproof and waterproof smartphones rated IP67 or IP68. The Blu smartphone has a 282 ppi Full HD 720 x 1080p resolution, coupled with a 5.5” curved glass display. The handset is encased in a metal housing. It features a 13 MP camera with flash on both the front and the rear as its primary and secondary cameras. The camera has a chamfered edge with a diamond cut polish. The fingerprint sensor assures you of total security of your smartphone. The unit is compatible with GSM networks such as Straight Talk, AT&T, MetroPCS, T-Mobile and Cricket networks. The smartphone houses 3 GB RAM with 32 GB internal memory that can be expanded to 64 GB with a Micro SD memory card. The device comes integrated with 1.3 GHz MediaTek octa-core processor and a Mali T720 graphics processor. It functions on the Android 7.0 Nougat operating system. It has a 3,000 mAh non-removable Li-polymer battery. The handset is available in black, gold, rose gold and silver color choices. 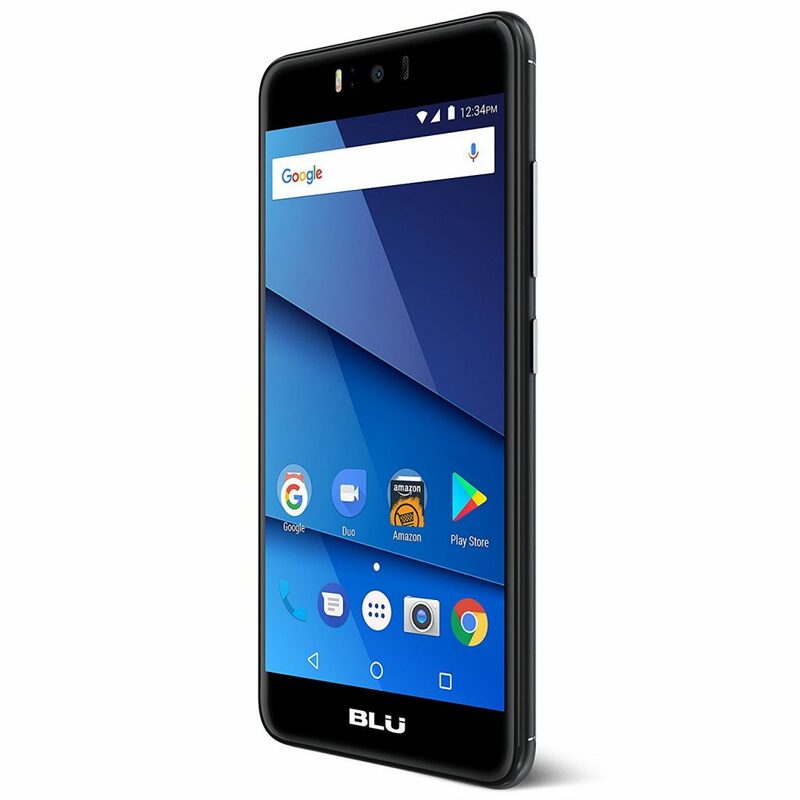 The Blu device is ideal for people who want a classy looking smartphone because of its premium metal body. Vivid colors and high contrasts make the handset a good option for those who want no compromise in picture clarity. 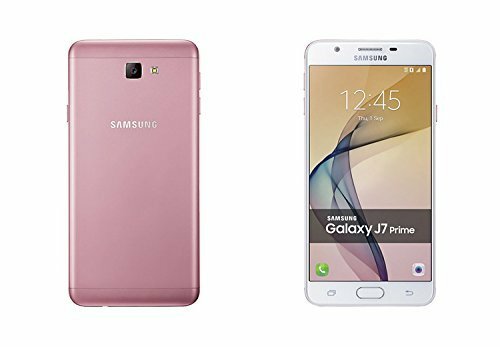 This Samsung smartphone has a 5.5” IPS LCD screen that renders 16 million colors with 1080 x 1920p Full HD pixel resolution and 401 ppi pixel density. The unit has a 73.3% screen-to-body ratio. The display has Corning Gorilla glass to protect it from scratches. The handset comes equipped with an all-metal body and a fingerprint sensor. It comprises a 13 MP primary/rear camera and an 8 MP secondary/front camera with flash. The device supports 3G connectivity and is compatible with only GSM networks like AT&T, MetroPCS and T-Mobile. The dual-SIM smartphone incorporates 3 GB RAM with inbuilt 32 GB memory that can be enhanced to 256 GB with a dedicated slot to insert a Micro SD memory card. The device has an Exynos 7870 1.6 GHz octa-core Cortex A-53 processor and a Mali-T830MP2 GPU. It comes with the Android 6.0.1 Marshmallow OS pre-installed. It comes in black, blue, pink gold and white gold color choices. The Samsung device is worth considering by people who are likely to keep the handset in their pockets along with pens, keys and the like because the Corning Glass will keep the screen scratch resistant. The dedicated memory card slot makes the smartphone ideal for those who want to use two SIM cards and a memory card at the same time. The Huawei smartphone features a 5.9” 1080 x 2160 pixel IPS LCD screen with 409 ppi pixel density. The device is packed with a 16 MP primary camera behind the unit and a 13 MP camera on the front. The dual SIM unit has two slots for inserting two Nano SIM cards at a time. However, one of the slots doubles up as a memory card slot. The handset offers compatibility with most GSM networks. It supports multiple connectivity options like Wi-Fi, 3G, 4G, USB OTG, GPS, NFC and Bluetooth. The smartphone encompasses various sensors such as a gyroscope, fingerprint sensor, compass magnetometer, accelerometer, ambient light sensor and proximity sensor. The device comes loaded with 4 GB RAM and 64 GB internal memory that can be extended to 256 GB. It houses an octa-core 1.76 GHz Hi-Silicon Kirin 659 processor. The gadget comes with the Android 7.0 Nougat pre-loaded and is integrated with the manufacturer’s own Huawei EMUI 5.1 interface. It operates using a 3,340 mAh non-removable battery that lasts close to two days on full charge. The smartphone is available in color options of aurora blue, graphite black and gold. 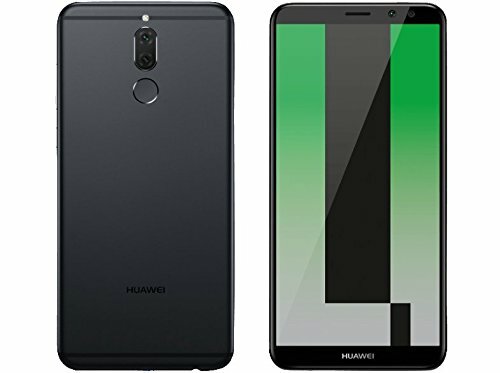 The Huawei smartphone is a great option for movie and game lovers because the large screen size with its excellent clarity and wide viewing angles make the viewing experience truly memorable. The 4 GB RAM makes it ideal for those who use many apps and want a seamless experience when they engage in multitasking with their smartphone. The Cubot Kingkong smartphone comprises an IPS capacitive 5” LONGJI hard glass 1280 x 720p touchscreen with a pixel density of 294ppi and is protected by a military safeguard. The left and right sides of the safeguard are made of very hard zinc alloy while soft imported plastic is used to cover all the corners. The whole body features a skid-proof thick texture. The device is IP68 waterproof and dust-proof with the ability to remain unscathed when dropped from a height of 1 m. The dual micro SIM unit offers dual standby options and has a dedicated TF card slot and 3.5 mm earphone port. The handset comes with an LED flash based 13 MP primary rear camera and an8 MP secondary camera on the front. It offers compatibility with most GSM networks. It supports multiple connectivity options like 2G/3G, Wi-Fi, GPS and Bluetooth. The device is installed with 2 GB RAM and internal 16 GB memory that can be incremented to 64 GB. It features a quad-core 1.3 GHz MT6580 processor and the Android 7.0 Nougat operating system. It has a massive 4,400 mAh non-removable battery that helps you to use the smartphone continuously for at least two days without having to charge in between. The unit comes with a USB cable, a 5 V charger, a user manual and a steel sheet for changing the SIM or TF card. 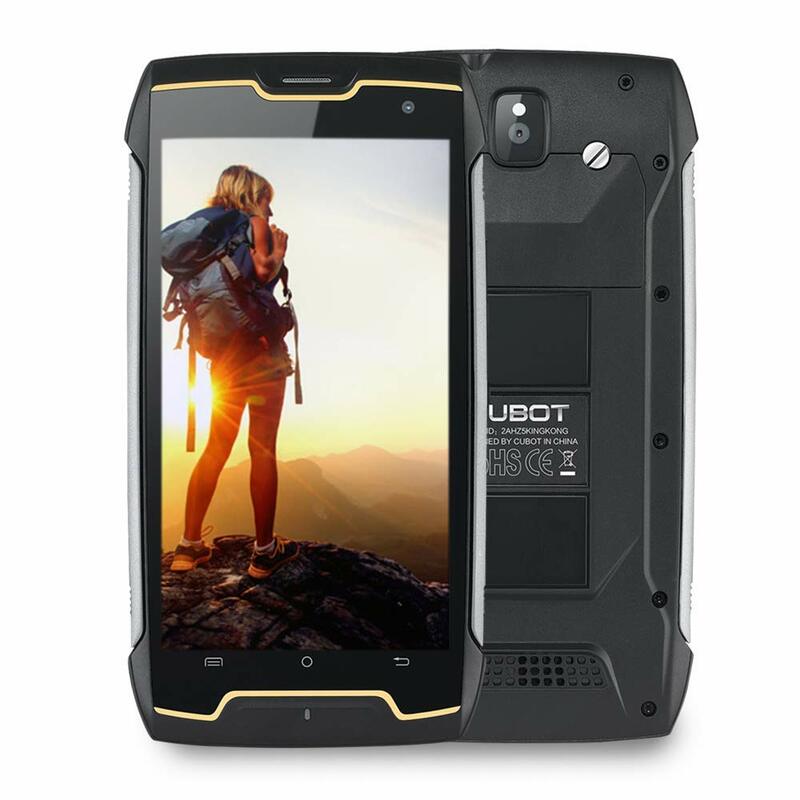 The Cubot smartphone is apt for outdoor adventure enthusiasts because of its rugged casing. The waterproof and dust-proof properties make the handset ideal for those who work in harsh environments like deserts, swamps and construction sites. The 100 hours standby supported by the device ensures that it is a good choice for people who are sceptical of their handset running out of charge. This Nokia smartphone features a 2.5D 5.5” laminated IPS Full HD display screen with 85% color reproduction. The handset encompasses a 16 MP primary camera at the back and an 8 MP camera in front. Both the cameras support the auto-focus feature, while the rear camera, in addition, renders face detection and fast imaging. The dual-SIM device has an inbuilt 7.2 W output smart amplifier and two speakers that render deep bass as well as loud sound with Dolby Atmos effect. It is made of 6000 series anodized aluminium and features finished and polished bright diamond cut edges to give it a premium finish. The gadget contains pre-installed Amazon apps. The 4G LTE speed device is loaded with 3 GB RAM and internal 32 GB memory that can be increased to 128 GB. It houses an octa-core 1.4 GHz Qualcomm Snapdragon 430 processor. The gadget comes with the Android 7.1 Nougat OS pre-loaded and is integrated with an inbuilt fingerprint scanner. The standard version smartphone operates with a lithium-ion battery. It is available in different color options of copper, black, silver and blue. 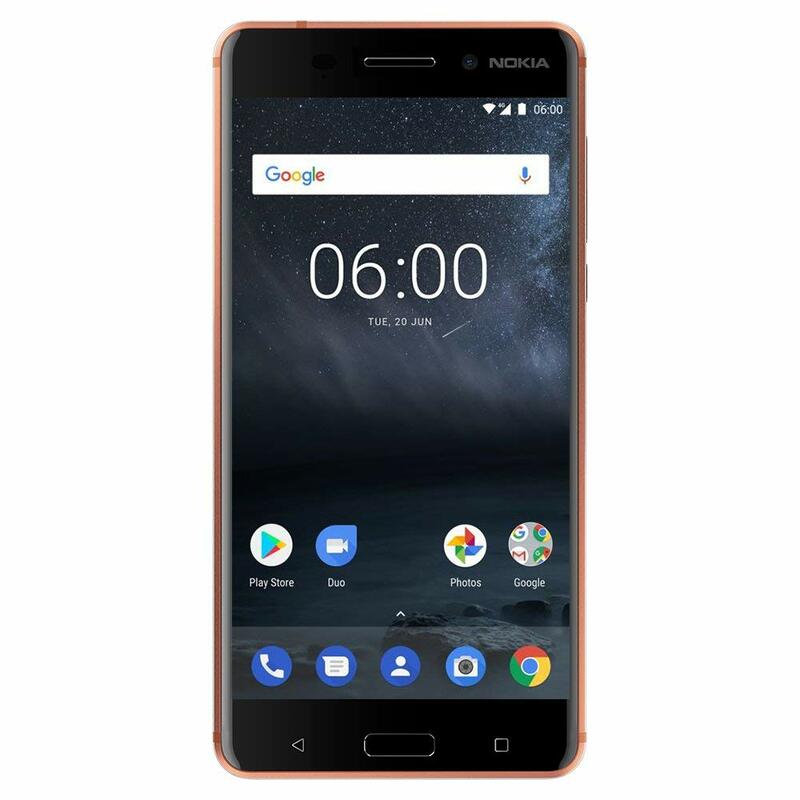 The Nokia smartphone meets the needs of movie lovers as it offers wide viewing angles and uncompromised sound quality with its speakers. The device is ideal for those who want to take advantages of features like Split Screen for multitasking and Android Doze for saving battery life. 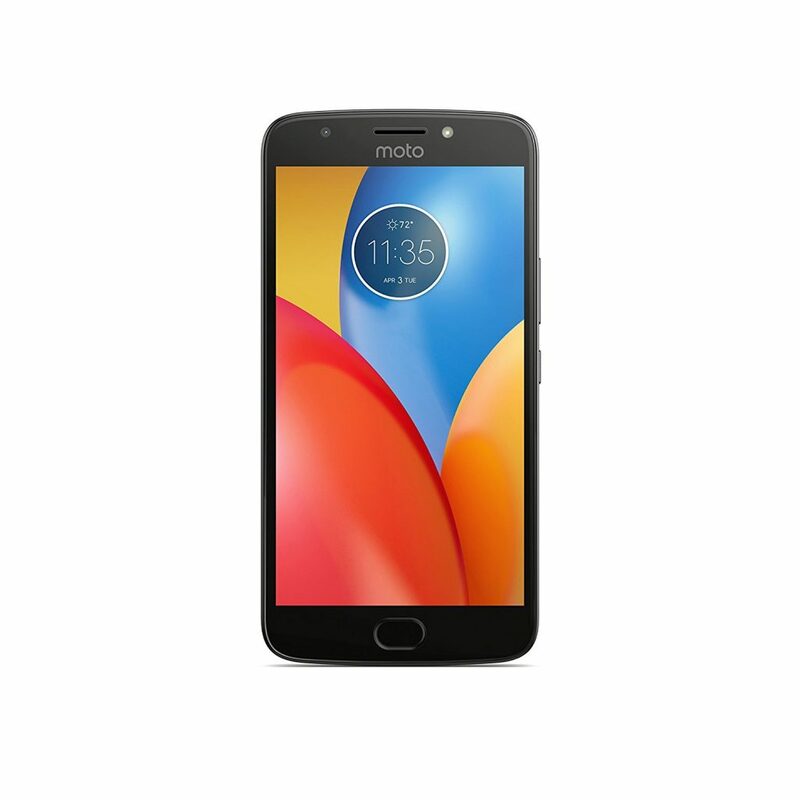 This Motorola smartphone encases a 5.5” HD display screen with an advanced nano-coating technology that acts as a water repellent barrier. This barrier saves the handset from damage due to accidental contact with moderate water exposure such as splashes, little rain or spills. The device is integrated with a rear flash powered 13 MP auto-focus primary camera and a front 5 MP secondary camera with selfie flash. The 4G LTE SIM-based unit comes packed in a smooth metal casing. It is fully compatible with AT&T, Verizon Wireless, T-Mobile and Sprint GSM networks. The handset comes with 3 GB RAM and internal 32 GB memory that can be increased to 128 GB. It houses an octa-core 1.4 GHz Qualcomm Snapdragon 430 processor. The gadget comes with the Android 7.1 Nougat OS pre-loaded and is integrated with an inbuilt fingerprint scanner. The standard version smartphone operates with a lithium-ion battery. It is available in different color options of copper, black, silver and blue. The Motorola smartphone is worth giving a thought by photography lovers because of the capability of the rear camera to render excellent shots even in low light. 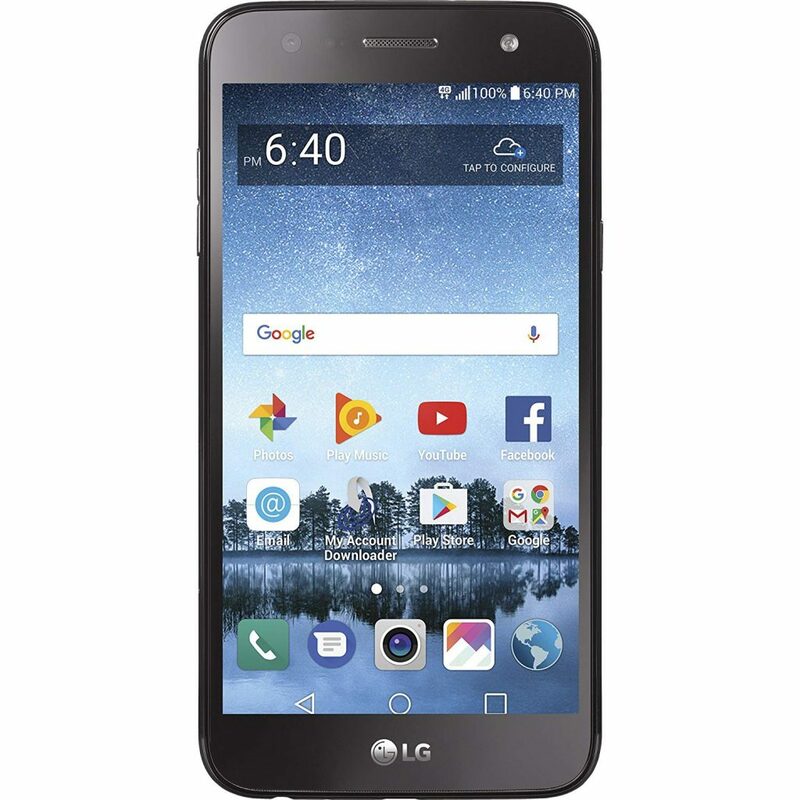 The 4G support makes the handset a good option for those who are particular about fast performance when they engage in activities like streaming videos or loading their favorite websites. A unit is a good option for those who want to take advantage of Android 7. 1 specific features like hands-free voice commands with Google Assistant and split screen view. This Sony smartphone has a 4.6” HD display with durable Corning Gorilla Glass 4 that has rounded corners with loop surface design so that the device fits comfortably in the hand. The Nano SIM handset has a 23 MP rear camera with separate sensors for laser auto-focus, RGBC IR and predictive hybrid auto-focus. The laser auto-focus sensor helps to determine the distance at which the object is located and focus on it with high speed to capture blur-free shots irrespective of the lighting. The RGBC sensor ensures accurate color reproduction for all light sources by separating natural and LED/fluorescent light. The predictive hybrid auto-focus allows to track a moving object and judge its next move so that excellent quality is assured for all shots captured. The device also has a 5 MP secondary camera at the front. The device supports Steady Shot videos utilizing 5-axis stabilization to produce steady close-ups, as well as selfie and smooth action videos. 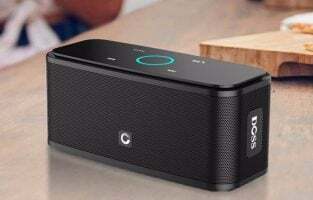 It encompasses a hi-res dual speaker and audio sound system that features noise cancellation functionality. The handset comes with 3 GB RAM and internal 32 GB memory that can be augmented to 256 GB. It houses a 1.8 GHz dual-core Qualcomm Snapdragon 650 processor and a 1.2 GHz quad-core Qualcomm Adreno 510 graphics processor. The gadget comes pre-loaded with the Android 6.0.1 Marshmallow operating system. It has a 2,700 mAh battery with QNOVO adaptive charging / Type C USB charging. The smartphone comes with a QC 3.0 quick charger. It is available in three color variants of black, blue and white. The two auto-focus sensors make the Sony Xperia smartphone recommendable for people who want to capture the best sharp quality shots without blur, irrespective of the level of lighting. The Steady Shot 5-Axis image stabilization technology ensures that the handset is a good choice for people looking forward to capturing perfect videos even when they are on the move. 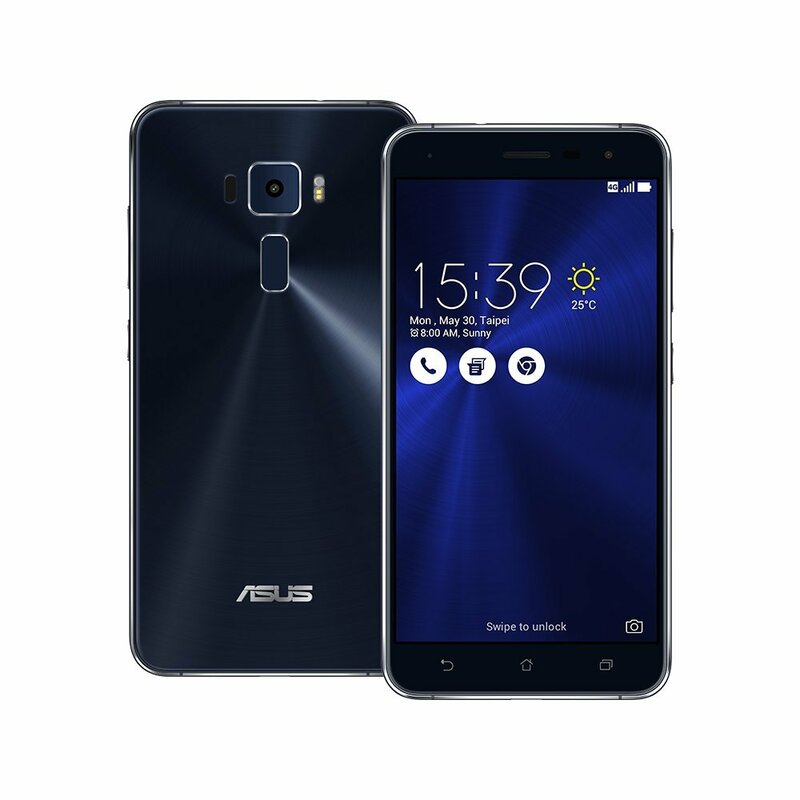 This Asus smartphone has a 5.2” Full HD 1920 x 1080 IPS display with 2.5 D Corning Gorilla Glass both at the front and back so that the handset is free of scratches. The dual SIM unit features a multi-dimensional design enclosed in a glass and metal body with a diamond cut chamfer finish. The ultra-slim bezel makes the screen look really big with an excellent screen-to-body ratio. The gadget has a 16 MP primary camera with face detection auto-focus, laser auto-focus, electronic and optical image stabilization and dual-LED (dual tone) flash functionalities. The PixelMaster 3.0 technology supports 4K UHD video recording and a color correction sensor for capturing photographs in their true colors. The lens is protected by sapphire glass that renders crystal-like clarity. It also has an 8 MP secondary camera. The device also allows you to capture still photos and record videos at the same time. The handset comes with 3 GB RAM and 32 GB memory that can be increased externally to 128 GB. It houses a 2.0 GHz octa-core Qualcomm Snapdragon 625 Cortex-A53 processor and an Adreno 506 graphics processor. The gadget comes with a 2,650 mAh battery. It comes in three color options of black, gold and white. The Asus handset is a great option for people who give utmost importance to the look of their smartphone. The IPS display makes the smartphone worth considering by those who wish to have wide viewing angles on their smartphones. This Alcatel smartphone comes with a 5” touchscreen that depicts crisp displays and full lamination for enhanced visibility. The single Nano SIM handset comprises a compact and slim design with its high polished frame, micro-textured back and engraved power key. It incorporates a 5 MP rear camera with LED flash and a front non-flash 2 MP camera. The rear snapper can record 720 p videos @ 30 fps. The one-click collage creator helps in creating a collage using the photos in the gadget. The device encompasses 1 GB RAM with 8 GB internal memory that can be up-sized to 128 GB through a micro-SD memory card inserted in the dedicated memory card slot. It is loaded with a quad-core 1.1 GHz MSM8909 processor and the Android 7.0 operating system. The battery saver mode helps to save on the battery life so that the smartphone does not run out of juice in times of an emergency. 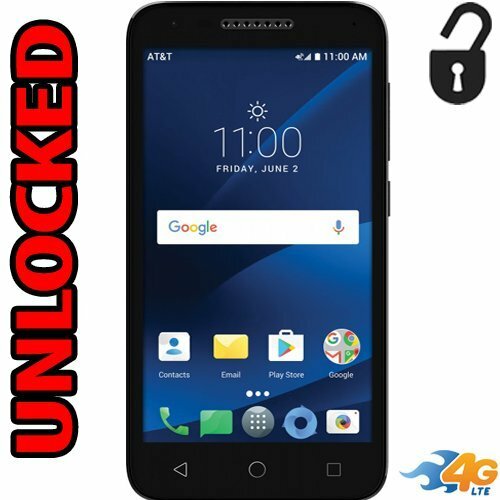 This Alcatel handset is just the right option for people who are interested in a basic smartphone powered by advanced Android features. The wide-angle selfie camera makes the unit a good choice for those who like taking their photos with a large group of friends. The smartphone is worth considering by those who use the camera often because of the ability to launch the app with just a double tap on the screen. 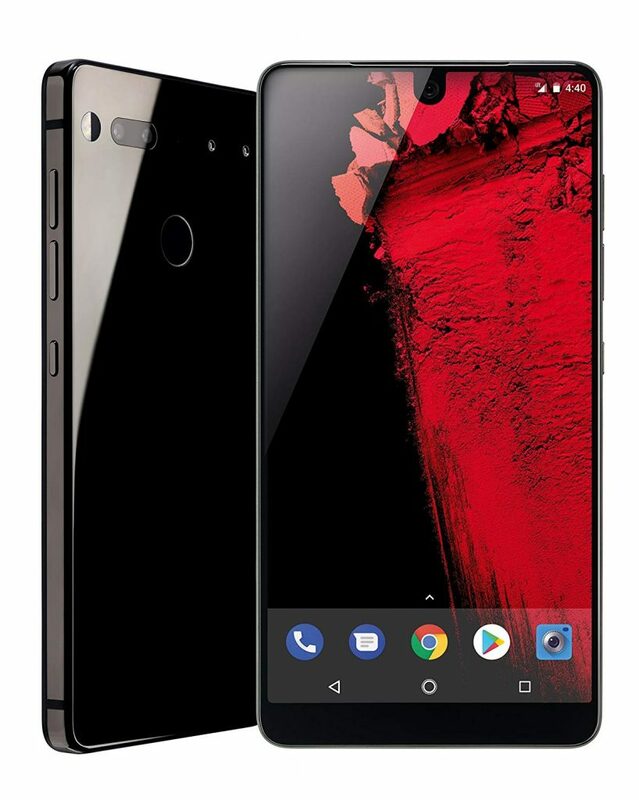 The Essential smartphone featured here comprises a 5.71” Quad HD edge-to-edge full display protected with Corning Gorilla Glass 5 and has hardly any bezel on all four sides resulting in more screen space. The single SIM device encompasses a 13 MP Essential 360 dual camera that supports portrait mode and captures photos and videos with stunning 4K clarity. It includes monochrome and color sensors for capturing more light than normal phone cameras without compromising on image quality and details in any lighting. The integrated MQA technology allows you to listen to studio quality music when you are on the move. The dust and water-resistant gadget comes with a whopping 128 GB inbuilt storage, a Qualcomm Snapdragon 835 processor and pure or stock Android with an update to the Android 8.1 Oreo available. 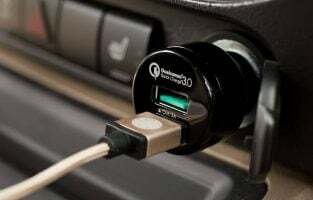 It comes with a magnetic connector, in addition, to attach various accessories that you may find useful for your smartphone. The unit has some more interesting features, like smart text selection, picture in picture, all-day battery life and fast charging. The handset comes with a three-month TIDAL Hifi subscription that gives you to access a plethora of MQA tracks. It is available in three color choice of black moon, halo gray and pure white. The Essential smartphone is a good choice for people who want a handset with large memory capacity to store their favorite content without relying on an external memory card or fear of running out of space. The stock Android makes it ideal for those who do not want any pre-loaded or unnecessary apps or any feature that does not support getting Android updates. 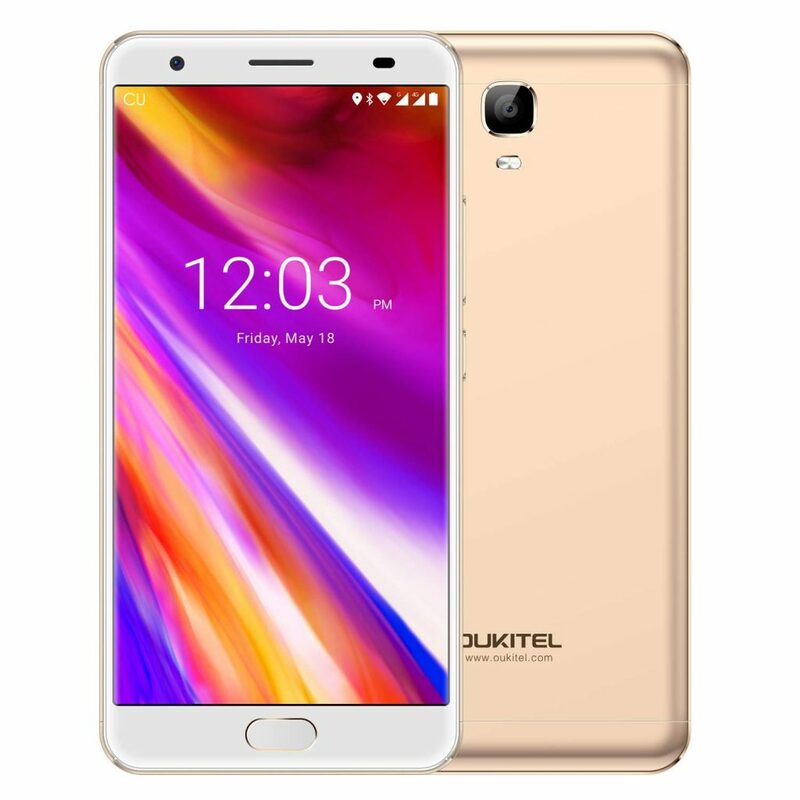 This Oukitel handset comes with a 1920 x 1080 resolution sculpted 5.5” Full HD 2.5 D Asahi Glass display and a metallic body made of a single block of aluminum. The smartphone has two card slots to include either two SIM cards or one SIM card and one TF memory card. It encases a 16 MP rear primary camera with LED flash and an 8 MP front secondary camera. The device supports front fingerprint unlock and mobile power OTG functionalities. The OTG functionality helps to transfer the content in the smartphone to another gadget using an OTG cable and also transfer part of its charge to another mobile phone. The Android 7.0 powered unit comes with 4 GB RAM and 64 GB RAM that can be increased to 128 GB. It includes an octa-core 1.5 GHz MediaTek 6750 processor and a Mali T860MP2 graphics processor. The handset is compatible with GSM, WCDMA and FDD LTE 2G networks. The device comes with a really powerful 6,080 mAh battery that easily lasts for two days without charging in between. It comes with a 12 V/2 A fast charger that charges the battery to its full capacity in just a couple of hours. The smartphone comes with three color variants of black, gold and gray. The seamless streaming rendered makes this Oukitel handset worth considering by people who watch movies or play games on it because of the high RAM capacity. The enormous battery ensures that a smartphone is a good option for those who are apprehensive of their smartphone running out of battery. The LG Fiesta 2 smartphone incorporates a 5.5” HD in-cell touch display with 720 x 1280 resolution. The 4G LTE handset has a 13 MP primary rear camera with flash, 4x digital zoom, auto-focus and 30 fps FHD video recording. The black unit has a 5 MP secondary front camera with front-facing flash that supports auto, gesture and beauty shots. 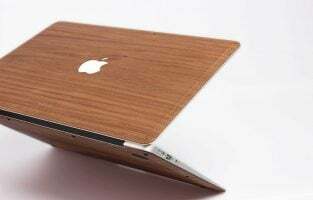 It comes with features like a content lock to password protect selected Gallery files and prevent certain files from being previewed when connected to a computer. The ‘do not disturb’ feature helps in taking control of how alerts and notifications must be received. The gadget encompasses 2 GB RAM and 16 GB RAM that can be incremented to 2 TB. It includes a quad-core 1.4 GHz Qualcomm Snapdragon MSM8917 processor and is pre-loaded with the Android 7.0 Nougat operating system along with the manufacturer’s own LG UX 5.0 user interface. It supports Wi-Fi Direct and 802.11 b/g/n, USB OTG, GPS and Bluetooth 4.2 connectivity options. The handset contains a 4,500 mAh inbuilt battery that supports battery saver mode to turn off certain apps from running in the background to save power. The LG smartphone is a good option for people who want to ensure restricted access to just certain content on their device. The ‘do not disturb’ feature makes it ideal for people who do not want to receive certain notifications at any point of time or for a certain time period. There are many smartphones in today’s market that come with an affordable price tag and interesting features. Most of these handsets are powered by the Android operating system although the version pre-loaded may differ. Some of them may allow an upgrade to the next version to allow you to take advantage of some extra features. 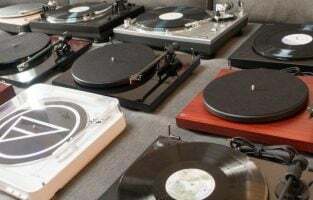 The gadgets are often available with different colors for their rear panels allowing you to take your pick from metallic and non-metallic choices. If ruggedness is a vital parameter in your must-have smartphone feature list, choose a handset with a metal body. On the other hand, if fear of scratches on the screen is what you are apprehensive about, think about looking at a handset with Corning Gorilla Glass protection.